“Love You Best” was what she said. Mother made every person feel they were the person she loved best. Peonies were her favorite flower. Every year in northern Illinois in preparation for the spring bloom I would take the hand tool and cultivate around each peony bush, add peat moss and bone meal because my mother had osteoarthritis and it was too difficult for her to do this gardening task. I didn’t really like to do it at the time. I thought “why does she like peonies so much?” They only bloom in the spring, then they are just a plain looking plant the rest of the year. 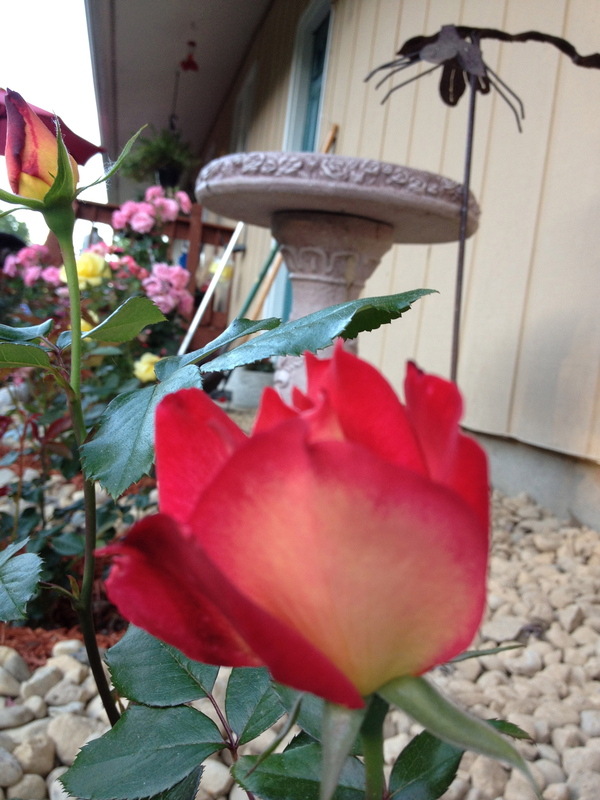 I really wanted to get the peonies fertilized and move on to the roses. Now I would give anything to have those peonies to take care of and see my Mother sitting on the porch as we added all the nutrients to the soil for the spring bloom. We would talk and laugh and visit about everything under the sun. Then I was transferred to Texas for work. Peonies don’t grow in Texas. I imagine its too hot. 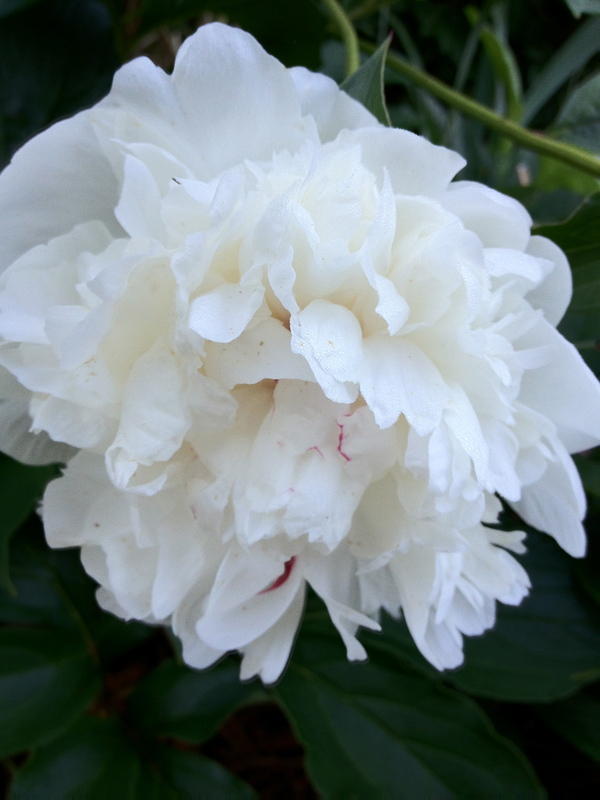 Plant hybridizers have come up with a variety called a Texas Peony but trust me they don’t look anything like peonies. So when I was moving back to Illinois last spring, everywhere I looked the peonies were in bloom. And, peonies make me think of my mother. I particularly had noticed the double white peonies everywhere and how mother had taught me that when your mother has passed away one must wear a white corsage to church. This was just a haunting thought as Mother’s day approached and I saw the beautiful Illinois countryside filled with double white peonies. I never saw such a gorgeous array of peony blossoms everywhere. If you read my Memorial Day post last year you know the story but I will tell it briefly again. We were in the garage working when a lovely neighbor stopped in the driveway with her clippers in hand and asked me if she could have some of my peonies. I was stunned. I told her I would be delighted for her to have some if she could show me where they might be located. We had just started to reclaim the overgrown three acres. She hiked with me down the hill and showed me a stand of white peonies in a secret hidden garden I didn’t know existed at the time. The poignancy of this still moves me since I just just been thinking of the meaning of all the white peonies dotting the Illinois countryside. Also, If you haven’t ever had the opportunity to smell the fragrance of a peony it is intoxicating. When you bring a bouquet in the house it will fill the room with the essence of springtime and the memories of the loved one that touched your life with the beauty of the love of a flower. 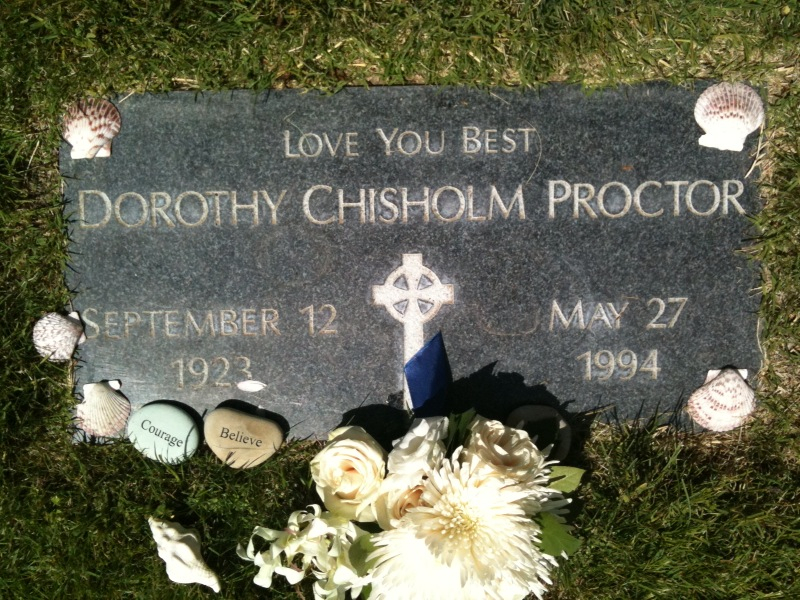 This is how our Mother’s that have passed away live on, in the treasure trove of our memories. I miss her everyday. I truly loved her best. This was so beautiful, it made me cry. Thank-you so much for writing. It is so beautiful to reflect back on all the beautiful things our Mother taught us to love. I wish she was here to see these peonies. I know you miss Jeanette and I do to. 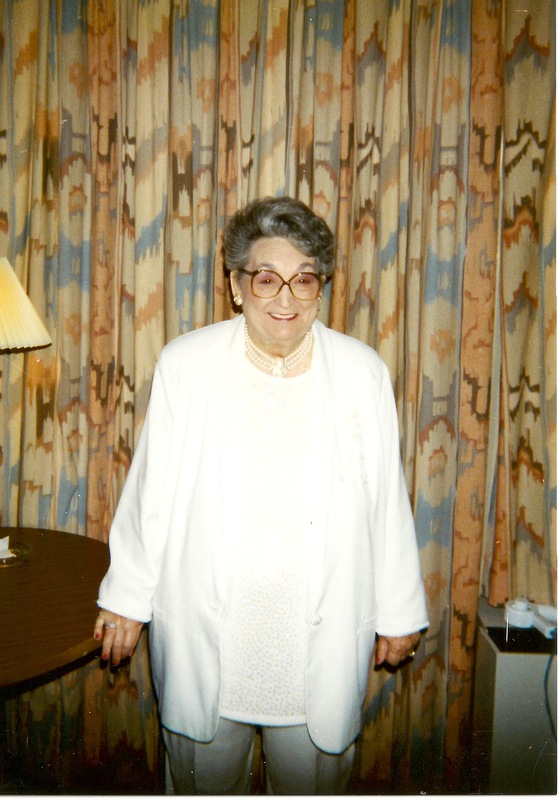 Happy Mother’s Day, I am thinking of you. Our mother’s leave with us such a rich legacies. I can see how you were inspired by her. Happy Mother’s Day! Thank-you so much. I hope you and Ms. Rose Diva have a beautiful day. You look like you cleaned up at the rose show. Congratulations!. This ping back just came in form your comment about “Love You Best Mom”. 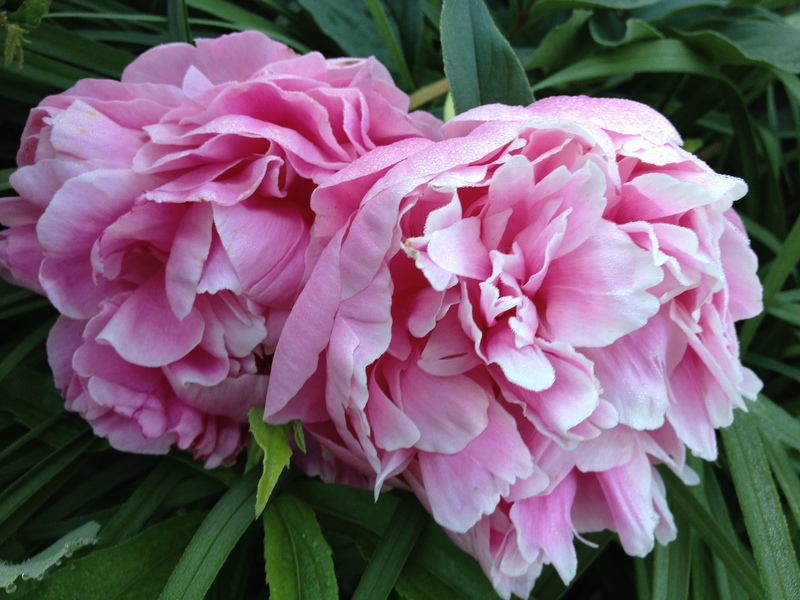 I love that you love this post about my Mother and peonies. It makes me cry everytime I re-read it. I wish I had more peonies. I planted some and they just didn’t turn out like hers did.